The workshop entitled, ‘An Intergenerational Approach to the Study of Genocide’ convened from June 10–16, 2011 in Rijssen, the Netherlands. Inanna Foundation organized the workshop with the aim to bring scholars and promising students and activists together to study the consequences of genocides, more specifically the genocide of the Assyrians during the First World War. There were about 24 participants from various European countries and the United States who made presentations, and dozens more who attended from European countries as observers and participants during question-and-answer sessions. The workshop was financed by the European Union within the framework of Grundtvig Lifelong Learning Programme. The organizers and participants were very pleased with the results of the workshop, which were a collective achievement of the participants. The organizers aim to publish an edited volume based on the contributions made during the workshop and on papers submitted by other scholars who have shown interest but could not participate to the workshop. The workshop was covered as a news item on SuroyoTV and will be broadcasted in the near future in several chapters or in a documentary format. SuroyoTV is available in America on the satellite Galaxy25 11929, (V), 22000, FEC 1/2, and in Europe and Asia on the satellite Hotbird 13deg E 11317, (V), 27500, FEC 3/4. Apologies for any errors in rendition. Naures Atto of Leiden University (Religious Studies Ph.D. program) and Soner Önder of the Inanna Foundation welcomed the participants, introduced the agenda and opened the workshop. In their opening speech, they elaborated on the importance for later generations of resolving the dilemma between remembering and forgetting the experiences of genocide. They explained that the Inanna Foundation has aimed at bringing the voices of different generations together in order to make a first step in touching on diverse aspects of the Seyfo as one example of a genocide committed in the 20th Century. They furthermore emphasized the importance of bringing together academics in different fields in order to develop a network of people who can collaborate on efforts to study the Seyfo from an interdisciplinary perspective. Prof. David Gaunt of Södertörn University (History) and author of Massacres, Resistance Protectors: Muslim-Christian Relations in Eastern Anatolia during World War I gave the keynote lecture on The Place of Seyfo in Modern Genocide Research. He described a transition from a first generation of genocide scholarship focused on the Holocaust on an archetypal case and the gas chambers of Auschwitz as an ideal type against which to measure genocides, to second and third generations engaged in comparative research into other genocides during the world wars, European colonization, civil wars, and other contexts. This transition has proven to be propitious for the study of Assyrian genocide insofar as it adds to our knowledge of analogous cases, and legitimizes the study of Seyfo despite some dissimilarities with the Auschwitz component of the Holocaust. Dr. Ton Zwaan of the University of Amsterdam (Center for Holocaust and Genocide Studies) explored the Transgenerational Consequences of Genocide. He argued that genocide represents an extremely vicious disruption of social processes with long term effects. The state is typically centrally, intentionally involved, leading to the victims’ deep sense of disorientation, loss of the social and political context in which their lives had meaning, loss of nearly of their property, and migration requiring building new lives. Victims may, generations later, experience a heightened awareness of vulnerability, threat, and impunity of their oppressors to punishment, as well as a breach of trust with society and the world. This breach of trust leads to weak institutions and leadership on the part of the victim group. Guilt and shame emerge as normal mourning processes are prevented by the large number of victims and small number of survivors. Healthy integration into society and coming to grips with the past can lead to recovery. The conditions for such recovery include truthful historical understanding, open public discussion, justice and compensation, and collective remembrance at the institutional level. Dr. Uğur Ümit Üngör,Assistant Professor of History at Utrecht University, described Eastern Turkey as a Zone of Violence and the Destruction of Ottoman Christians. He analyzed eastern Anatolia as a multi-generational zone of ethnic and religious violence. He argued that the Committee of Union and Progress (CUP) was lost power in 1918, though its middle managers took leading roles in the Turkish Republic under Mustafa Kemal and even into the 1940s. A prominent example was Mustafa Renda, responsible for the destruction of the Ottoman Christians of Bitlis province from 1915-1918, allowed to return from the Malta trials established by Article 230 of the Treaty of Sèvres, and subsequently appointed to leading roles in the province of Smyrna/Izmir, the Ministry of Economy, the Ministry of Interior, the Ministry of Finance, the Ministry of Defense, and the Turkish parliament. Dr. Üngör argued that the Ottoman Christian minorities were destroyed as a result of escalation of ethnic conflict at the provincial level. He argued that eastern Anatolia experienced similar events in areas experiencing Kurdish rebellions in 1925, 1930, and 1937-38, in Thrace in 1934 as the Jews were targeted, in Marash in 1921, and in Ararat in 1930. Among others, Dr. Üngör displayed a photograph from the Deutsche Bank archive showing Kurds being loaded onto railcars for their deportations in the 1930s. Prof. Ciano Aydin of the University of Twente and Delft University of Technology (Philosophy) spoke on “Collective Trauma and Cultural Identity.” There is a complex relationship between identity and trauma, which can transform some individual or group identities while solidifying others, or creating solidarity. Collective trauma is distinguished from individual trauma on the mass basis and difficulties coping. Dr. Aydin furthermore elaborated on the effects of collective trauma, which cause a discontinuity and disorganization for the group who experience the traumatic event. Taking a departure from Nietzsche’s concept of “active forgetting”, Dr. Aydin endeavored to show how it is possible to overcome the experienced trauma. 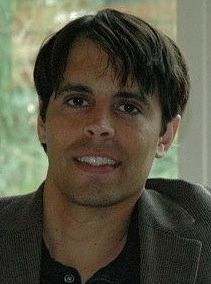 Dr. Önver Cetrez, Assistant Professor at Uppsala University (Religion) surveyed ‘Genocide and Posttraumatic Stress in a Generational Perspective: Examples from Different Cases.’ Psychologists have identified a 'complex' of processes by which post-traumatic stress can have transgenerational effects, impacting the identity, relationships, and culture of the children and grandchildren of survivors. Some survivors struggle with issues of isolation, overprotectiveness, and integration into society due to difficulties with communication and trust. Separation anxiety, fear, rage, and compassion are common issues emerging in research on second-generation survivors. Silence and repression as a result of a failure to share experiences and imbue them with meaning can lead to second-generation alienation and doubt. The American Psychiatric Association’s Diagnostic and Statistical Manual of Mental Disorders-Fifth Edition identifies the symptoms of post-traumatic stress disorder as (1) exposure to a traumatic event, (2) involving death or a threat of death or injury and a response characterized by fear or horror, (3) a persistent reexperiencing of the event through distressing memories of the event, distressing dreams of the event, flashbacks or a feeling of reliving the experience, intense emotional distress when encountering symbols or things associated with the traumatic event, (4) persistent avoidance of symbols or things associated with the traumatic event and a feeling of numbness especially when accompanied by efforts to avoid thinking about or discussing the trauma, encountering people or places related to it, forgetting important aspects of it, non-participation in normal daily activities, estrangement from other persons, abnormally repressed feelings, a sense that live will be short, and (5) persistent new symptoms of anxiety such as difficulty sleeping, anger or irritability, finding it tough to concentrate, and (6) significant effects on one’s career, social relations, or activities as a result of all of this. Aryo Makko of Stockholm University (History Ph.D. program) gave a presentation entitled, ‘From “Forgotten Genocide” to the “Main Pillar of Identity”: The Role of Seyfo in Contemporary Assyrian Historiography.’ He argued that from being understood by scholars of Assyrian history as a mostly forgotten trauma, the perception of Seyfo has changed in recent years as being an important unifying event for Assyrians, otherwise divided on denominational and geographical grounds. The shared experience and knowledge of the Seyfo serve as common ground for the Western, Eastern, and Persian Assyrians. Prof. Efrem Yildiz of Salamanca University (Faculty Philology, Hebrew and Aramaic studies) detailed The Armenian and Assyrian Eyewitness Report Through the Eyewitness Testimony of Israel Audo and Jacques Rhétoré. Israel Audo was the bishop of Mardin at the time of Seyfo. Jacques Rhétoré was a French Dominican monk from Mosul who was deported to Mardin, where 75,000 Assyrians lived. Rhétoré wrote that hundreds of Assyrian clerics were captured, and virtually all killed. Prof. Yildiz explained that Israel Odo gives much of the same information as Rhétoré. They both discussed the death of Addai Sher, the Chaldean Archbishop of Siirt, at some length. Rhétoré’s text ‘Les chrétiens aux bêtes/Christians to the Beasts: Souvenirs de la guerre sainte proclamée par les Turcs contre les chrétiens en 1915’ is available in a Spanish edition. Prof. David Gaunt of Södertörn University (History) described ‘The Sources for the History of Seyfo ‘. The sources include British, American, French, German, and Russian diplomatic and other official documents, the Vatican archives, memoirs such as those of Jacques Rhétoré, Hyac in the Simon, Jean Naayem, Lady Surma d’Bait Mar Shimun, and academic studies by Gabrielle Yonan and other authors. The submissions of the Assyro-Chaldean delegation to the Paris Peace Conference are also important. Prof. Gaunt discussed an extensive bibliography put together by himself, Jan Bet-Sawoce, and Racho Donef. These same individuals are working to translate the journal L’Action assyro-chaldéenne from French to English. Jan Bet-Sawoce of Södertörn University (Mesopotamian Library) gave ‘A Short Study of the Sayfo Issue in the Vatican Archives.’ The Vatican archives are important because three French Dominican monks were eyewitnesses to Seyfo in Mardin. In addition, a special papal delegate created reports on each province of the Ottoman Empire, and the condition of the Christians therein, for the Vatican foreign affairs department. The Vatican documents contain first-hand reports of how the town criers (tallals) disseminated the call for holy war against Christians throughout the empire, resulting in massacres. Local reports of massacres in Urhoy, Kharput, Mardin, Siirt, Bitlis, and other places were sent in 1915. Massacres in Urmi and Salamas in 1918 are the subject of further reports sent in 1918. Prof. Hannibal Travis of Florida International University (Law) and author of the book “Genocide in the Middle East: The Ottoman Empire, Iraq, and Sudan” explored: Constructing "The Armenian Genocide": How Genocide Scholars Unremembered the Ottoman Assyrians. He argued that although genocide scholars have tended since the 1960s to describe the late Ottoman Empire’s genocidal policies as solely an “Armenian Genocide,” a growing consensus describes these events as a general Ottoman Christian genocide. Several books and articles were published from 1966 through 2010 detailing an Armenian genocide that claimed 1.2 to 1.5 million lives, but failing to mention or even minimizing the death toll among Assyrians and Greeks. Scholars of the Armenian genocide often state that there were more than two million Armenians in 1914, and virtually none remaining in Turkey by 1923. They often neglect to state, however, that there were more than 500,000 Assyrians in 1914, and that in Turkey in 1919, the Assyrian population was actually smaller than the Armenian population. In addition, the Assyrian population of Persia was much more dramatically affected by the Ottoman occupation of northern Persia than was the Armenian population, which actually grew from the 1850s to the 1950s, in contrast to the Assyrian population which fell dramatically. The reasons why Armenian genocide scholars neglect the Assyrian genocide include ignorance, statistical questions, and pure politics. The sources most often used by Armenian genocide scholars describe the same methods being employed to kill and expel Assyrian communities living in close proximity to Armenian communities. Dr. Andrew Palmer of Münster University spoke on U-gubo da-qTiloye – The Cistern of the Slaughtered Christians and Muslims in M’arre. His topic was the village of M’aare. M’aare sits on the former Persian/Byzantine Roman border. Syrian Orthodox Christians migrated there in the early middle ages and shared the village with the Christians of the Church of the East and with Arabic-speaking Muslims, who arrived there before the twelfth century. Tur Abdin had jutted into Persian territory, dividing the Church of the East believers in Batman and Nisibis from one another to some extent � once the Islamic Conquest removed that barrier, the pass above M'arre became an important throughfare between north and south, between the mountains and the plain. This gave M'arre an economic advantage which explains its prosperity in the twelfth and thirteenth centuries. In this period Christians and Muslims appear to have worked closely together and the Muslim headman of the village was even involved in the restoration of the nearby monastery church of Mor Awgin in 1271. The Suryoye of M’arre were massacred in July 1915, many of their bodies being dumped in a dry cistern near the cemeteries of the village, which is known in Kurdish as Chal Kushtiye and in Aramaic as u-gubo da-qTiloye, both names meaning 'the Cistern of the Slaughtered. Prof. Michael Abdalla of Poznan University explored Opportunities and Barriers to Disseminating the Holocaust of the Assyrians in Poland. He described the need for Christian churches and large organizations like universities to discuss Assyrians’ whole history, not in pieces. He described difficulties in attempting to speak on Assyrian persecution in the Ottoman Empire and Iraq at the Catholic University of Warsaw, one of whose faculty forbade students to attend an event organized by, what they still call “heretics”. He explored reasons why Polish institutions might be willing to raise funds for Georgia or Japan, but less often for Christian Assyrians in Iraq. Nevertheless, some members of the Polish church have been very active in facilitating Prof. Abdalla’s speeches on the Ottoman and Iraqi Assyrians, which have been well attended. In addition, the Church/People in Distress organization Poland invited Archbishop Louis Sako from Iraq to speak, and he was interviewed or profiled in numerous Polish newspapers and television programs. Scharbil Raid Gharib of the University of Tübingen (Politics, Ph.D. Programme) presented a talk on ‘Sword and Betrayal—The Repercussions of Seyfo on the Syriac Speaking Communities.’ He identified several internal and external factors that have blocked the inclusion of Syriac speaking people in the modern world. External factors involve depopulation and dispersion as a result of Seyfo, and internal factors relate to the culture, politics, and religion of Syriac speaking communities. Malik Kambar criticized the diplomats of the West for dividing the Assyrian nation in their own interests. The denominational division of the Assyrian/Syriac nation represented a further betrayal. In the aftermath of Seyfo, the leaders of the Syriac speaking people presented demands aimed at reversing both betrayals, including liberation from the Turkish and Persian yoke, reparations for material damage, and a unified Assyrian state under a League of Nations mandate. Similarly, Archbishop Ignatious Afram I Barsoum demanded that the delegates to the Paris Peace Conference guarantee the Syriac speaking people French protection, reparations for lost churches, monasteries, and schools, and the same material aid as Armenians. Mar Shimun’s representatives asked for British protection with an autonomous patriarchal government, with boundaries from Bashkala and Bitlis in the north to Jazireh in the southeast. The last remaining sources of Assyrian unity were lost with the exile of Agha Petros by the British and French, and the massacres at Simele which destroyed the last remaining power of the Assyrians, politically and militarily. Sabri Atman of Seyfo Center described ‘Seyfo Activities at the International Level.’ Activism and scholarship have contributed to the recognition of the Assyrian genocide by the Swedish parliament, the South Australia parliament, the local government of New South Wales in Australia, and several governors of the State of New York. A monument was erected in Fairfield, Australia. Monuments also exist in Chicago, Illinois and Los Angeles, California. Seyfo Center has been active in documenting the Assyrian genocide, representing the Assyrian cause in governmental and intergovernmental institutions, and educating non-Assyrians and Assyrians alike in educational and political fora. It is a resource for academics, journalists, politicians, and filmmakers. Dr. Jan van Ginkel of Leiden University spoke on 1917: A New Bishop in Amid/Diyarbakir. Who was Mor Dionysus ‘Abd an-Nur Aslan? He told a fascinating story of a bishop with strong social connections, who was transferred from Harput to Syria in 1913, and became bishop of Diyarbakir in 1917. The appointment represented the hope of the Syrian Orthodox church that Diyarbakir would again become a center of Syrian Orthodox life in the aftermath of the Seyfo, a hope unrealized. Abdulmesih BarAbraham of the Yoken-Bar-Yoken Foundation described Turkey’s Key Arguments in Denying the Assyrian Genocide. He summarized the works of Salahi Ramadan Sonyel and Bulent Ozdemir on the Assyrian genocide, which emphasize that the Assyrians were the ‘smallest Ally’ of Britain and Russia, who rebelled against Ottoman Empire. In addition, both play down the effect of the events on the Assyrians, claiming that Assyrians had long lived together in peace with Turks and Kurds, and suffered flight from their homes and losses in battle as a result. In 1931, the Republic of Turkey issued a directive on the teaching of history from a Kemalist slant. The Turkish Historical Society enjoys a constitutional mandate under article 134 of the constitution of 2005. The Assyrian section of the society was set up in 2007 under the leadership of Bulent Özdemir. Özdemir argues that the Jacobites of Mardin, Midyat, Diyarbakir and Mosul lived in peace because they did not rebel, while the Assyrians of Hakkari, Van and Urmia suffered losses because they joined with Russia in the war. The Society’s stand is denial of any wrongdoing by the Turks; to blame are external powers, missionaries, and the victims for what happened. In their narrative, there was no planned genocide, but some armed robberies and outbreaks of illness. Ibrahim Seven, an independent activist, explored ‘Seyfo in the Turkish and Kurdish Media.’ A number of books have been published in Turkey by Turkish and Kurdish authors who recognize the Assyrian genocide, including not only Seyfo but the genocide perpetrated in the 1840s by Turks and Kurds. Mr. Seven described some of these books, the backgrounds of their authors, and their findings. Tour of Amsterdam including the Jewish Historical Museum and Anne Frank House Museum. Prof. Shabo Talay of the University of Bergen (Arabic and Aramaic) described the ‘Impacts of Seyfo on the Aramaic Language.’ Aramaic-speakers have suffered linguistic genocide due to direct killings, outlawing of their language, and exclusion from their traditional homes and communities. There has been a sharp decline in Aramaic speakers, because a language needs a culture, and the culture of Aramaic-speakers is changing as a result of living in diaspora. Dr. Talay described how Aramaic-speaking youth growing up in the wake of Seyfo would suffer punishment in Turkish schools for using Aramaic words and were forced to recite poems saying 'my father is a Turk' and so on. He explored how Seyfo is often referred to in Aramaic as a firman, the etymology of which reflects both a decree and cutting/killing/decapitating. Aramaic also uses kafla, which means deport or 'pursue', for Seyfo. He described the 1993 attack on the village of Hassan/Hasanna, in which 300 families of Protestant, Chaldean and Syrian Orthodox Christians fled the last base of Aramaic speakers in Turkey east of the Tigris river, many of them moving to Mechelen in the 1990s. This was the death knell of a dialect of Aramaic east of the Tigris. Nineb Lamassu of the School or Oriental and African Studies, University of London (Assyriology) spoke on a ‘Private Archive of Malik Yaqu and Malik Ismael and Early Attempts at Compensation for Seyfo .’ The maliks of the Assyrians living in the United States in the 1960s learned that Germany had paid over $800 million in reparations to the Jews for the Holocaust, and explored in private communications the tabulation of Assyrian losses due to Seyfo, especially churches and agricultural lands and flocks, for a lawsuit seeking compensation from Turkey. Mr. Lamassu reviewed several letters from private archives he has consulted in the United States during his participation in the Modern Assyrian Research Archive project. He described how MARA will help scholars engaged in similar research in the future. Naures Atto of Leiden University (Religious Studies Ph.D. program) in her work in progress, reviewed the history of song lyrics about Seyfo in a talk entitled. ‘Lyrics about the Seyfo.’ She described the evolution of this music from traditional to more contemporary formats such as rap music. Mousa Elias of the Royal Academy of Music in Stockholm spoke on ‘The Place of Seyfo in Mousa Elias’ Music.’ He described his collaboration with an Assyrian poet and the preparation of the melody prior to asking for the lyrics to be written. He then delivered a very moving performance of his music on the Seyfo. Nahrin Malki Atto, an independent artist, presented and discussed her Seyfo -related paintings. She passed around examples of her work and talked about the tension between evoking Seyfo without being too didactic about doing so. In the Open Session, two MA students presented their work. Sanharib Demir of Bielefeld University (Politics) spoke on ‘Seyfo —A Result of Conflicting National Identities.’ He described the importance of Assyrian national identity in the pre-war Ottoman context, as exemplified by the use of names such as Sanharib to evoke the Assyrian nations’ past. He analyzed how the rise of racism and ultranationalism in the Ottoman Empire set the stage for genocide, referring specifically to the theories of Young Turk ideologist Ziya Gokalp. Oya Nuzumlali of Sabanci University (Cultural Studies) explored ‘Configurations of Genocide: The Case of Chaldeans in Istanbul.’ She described preparing survey research on the Chaldean community in Istanbul today. She explored potential challenges in conducting such a study, and ways of facing them. She argued that the Chaldean community in Istanbul bears the scars of a past genocide, including fear of outsiders, heightened religiosity to the exclusion of worldly pursuits, and dispersion globally. Many Chaldeans have come from Iraq in recent years due to persecution, yet some view Istanbul as a mere wayplace en route to Europe, the United States, or elsewhere. In an event after the closing dinner which was organized to honor the Seyfo -related work by David Gaunt, several participants gave a speech and handed him a present. The invited musician Mousa Elias entertained the audience with his oud, a session which continued until midnight.